HQ-1006 --7 PCS. PRECISION SCREWDRIVER SET. Home > * Razor Shaver Battery > HQ-1006 --7 PCS. PRECISION SCREWDRIVER SET. 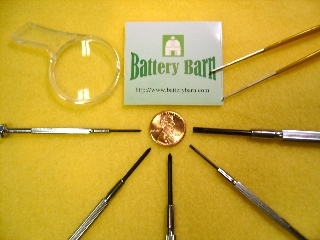 1.4 mm, 3 mm, total two head screwdrivers. No.0 , No.O-2 , No.O-4, total three head screwdrivers. Packed in a plastic see through case.